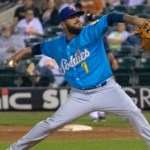 The Padres’ 15th-ranked prospect has garnered a considerable amount of buzz recently for the strides he made offensively this past year at Double-A San Antonio. However, the 21-year-old has a lot of competition as he finds himself buried within the best minor league system in baseball. 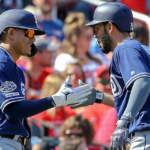 The Padres have always had high expectations for Josh Naylor, as he entered the organization as the key piece coming back to San Diego in a trade which sent Andrew Cashner to Miami at the trade deadline in 2016. The then 19-year-old was the Marlins’ first-round pick in 2015, and upon arrival in San Diego, instantly became included in discussions surrounding being an integral part of the Padres’ massive rebuild. But that was then, and this is now: According to MLB.com, Naylor currently ranks as the Padres’ #15 prospect. With the recent signing of first baseman Eric Hosmer to a massive 8-year deal, and with a massive logjam in the outfield, Naylor’s route to the show seems ridden with roadblocks. Therefore, with a seemingly infinite amount of scenarios before the Padres going into this offseason, A.J. 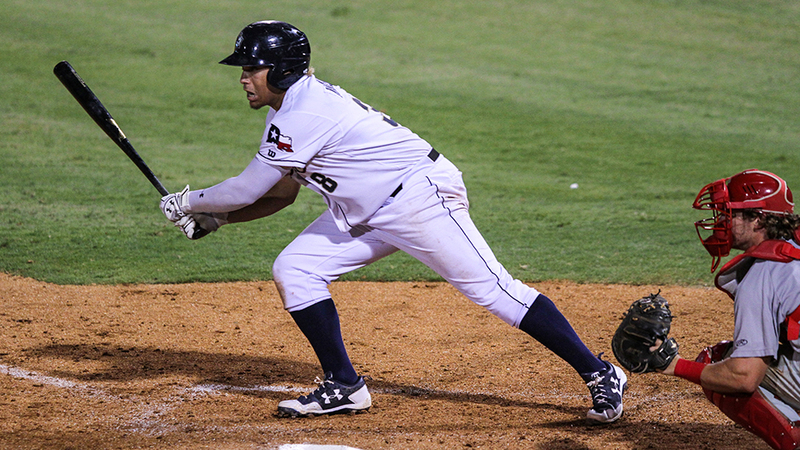 Preller must answer the question of what the future of Josh Naylor is as a Padre. What stands out the most from this evaluation is the stark disparity between Naylor’s GamePower and RawPower. This suggests that Fangraphs believes Naylor still has room to grow into his power potential, something we saw glimpses of this year. In the first two weeks of April, the Canada-native hit .472/.575/.1000 with six HR over 36 at-bats. Having cooled off the remainder of the year, one could look at these 36 at-bats as a window into Naylor’s potential ceiling. Interestingly enough, Naylor’s potential has drawn a comparison with none other than Eric Hosmer, an observation which seems especially apt when one looks at Naylor’s slash line from last season of 297/.383/.447 alongside Eric Hosmer’s career averages of .280/.340/.433. Additionally, both of them being left-handed first basemen with a line-drive approach at the plate aids even more to these comparisons. Another asset toward Naylor’s trade value is his multi-positional potential. While serving exclusively as a first baseman over the course of his career, Naylor started 89 games in left field this year. This move could be seen as the Padres trying to forge a route for Naylor to reach the bigs. Unfortunately, much like the experiment made with Wil Myers at third base this season, Naylor struggled in left as his .913 fielding percentage was a clear sign of growing pains. Now, it’s no secret that the Padres want, and desperately need, starting pitching. So if you’re A.J. Preller and you don’t see a scenario in which Naylor will be a fit in San Diego, how could he potentially be included in a deal? Unfortunately for the Padres, acquiring effective, major-league-ready starting pitching will be difficult due to the starved nature of the marketplace. Therefore, if we want to obtain a starting pitcher, it will, unfortunately, take a lot more than our 15th-ranked prospect. In order to have a chance at the Jacob deGrom’s of the world, we would need to include other top-tier prospects along with some major league ready talent– and that’s just the harsh reality. Giving up Naylor, amongst others, to immediately acquire top-tier starting pitching one to two years before our top prospects begin to make a serious impact at the major leagues may be something Preller doesn’t want to risk. Therefore, what would it look like if Naylor stayed with the Padres? As previously mentioned, Naylor has experience in the outfield. 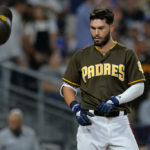 And given Eric Hosmer’s stranglehold on the position for at least the next five years, how will the Padres find room for Naylor in a crowded outfield? Looking at the situation as it stands, Hunter Renfroe and Franmil Reyes stood out as our top-performing offensive players over the course of the season. 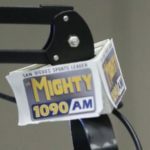 Manny Margot and Wil Myers will be looking to have bounce-back seasons in 2019. And depending on future performance, Travis Jankowski, Franchy Cordero, and Jose Pirela could have potential futures on our roster. That’s a lot of outfielders for three starting spots. 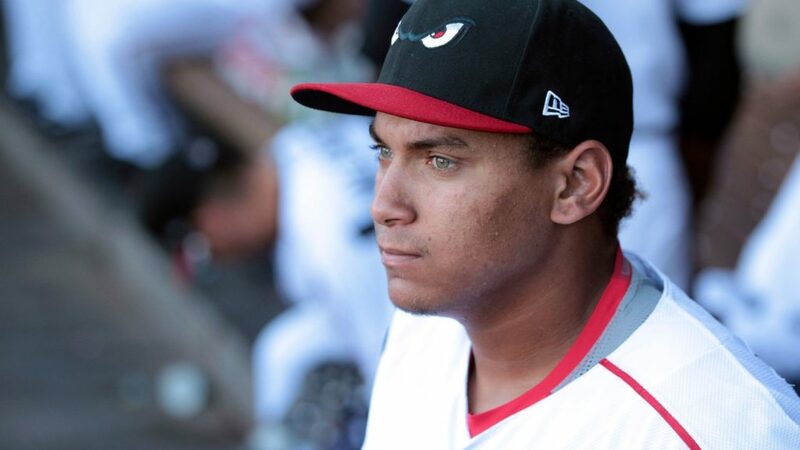 Additionally, Padres 13th-ranked-prospect Buddy Reed has been bringing attention to himself due to his outstanding season in Lake Elsinore as he hit .324/.371/.549 with 12 HR playing a solid center field. 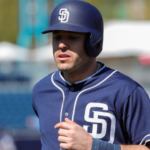 So again, how could Naylor, with his low-value outfield defense, possibly find his way to a starting spot in San Diego? One word: Injuries. In the offseason, it can be easy to forget that over the course of 162 games, injuries happen on a fairly consistent basis. 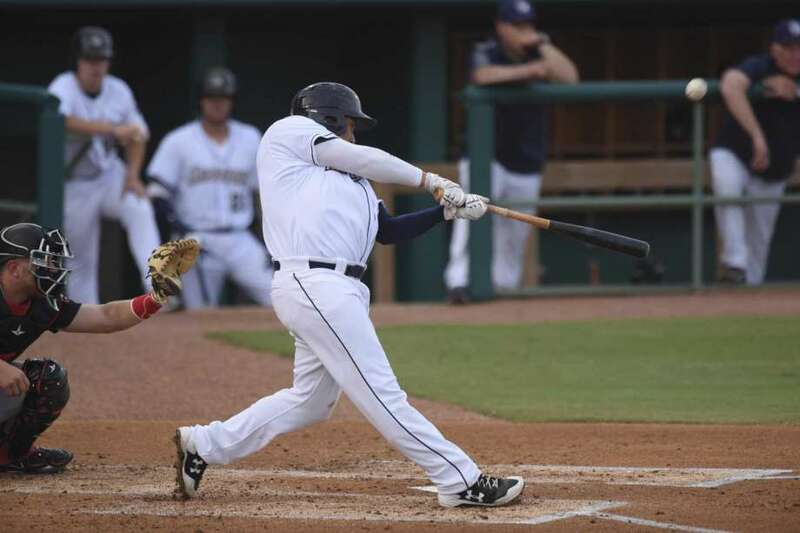 Therefore, if any of the previously mentioned outfielders go down next season, and Naylor continues to hit well in the minors, don’t be surprised if we see his name as a potential call-up. 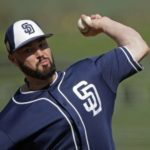 Not only will the Padres be willing to call him up to see if he can outplay the current big leaguers, but possibly, to see if he can grow his trade value. 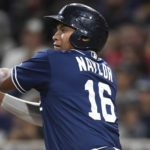 Overall, considering that the amount the Padres would have to give up for a top tier starter would be far greater than just Josh Naylor, it may be in the Padres’ best interest to keep him in the system in order to continue to help him develop his power at the plate and his skills in the outfield. And whether it be injuries, or merely playing his way up to the bigs, we could very well see Naylor getting an opportunity to prove himself in 2019. But who knows? Josh Naylor, Luis Urias, and MacKenzie Gore for DeGrom? That last trade you suggested was just stupid. deGrom is only 2 years out from free agency, trading Urias would just open up another hole on the diamond and MacKenzie Gore is going to be a #1. Need to find a team that has a good 3B prospect that is stuck behind a veteran on a long contract and swap them.